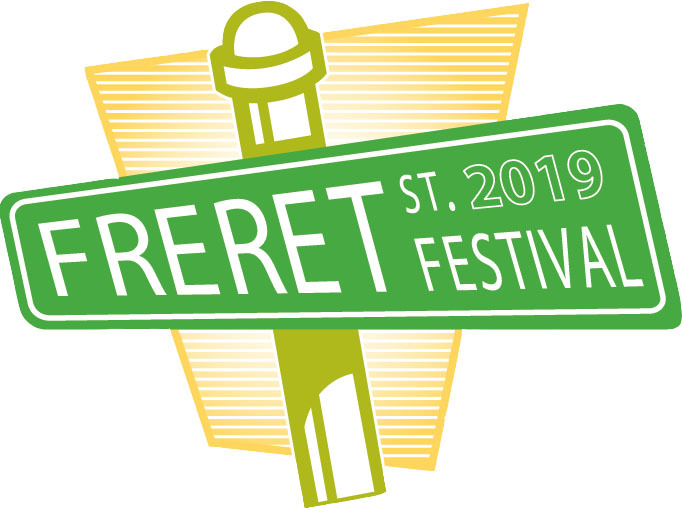 Logo for Freret Street Festival. For over 20 years the annual Freret Street Festival has been bringing neighbors, artists, and businesses together for a celebration of all things New Orleans and 2019’s event– happening this Saturday (April 6th)– is no exception. “It’s always a beautiful spring day, and it’s sort of the kickoff to the whole New Orleans spring festival season,” says Reverend Dr. Andrew Ward, Entertainment Chair for the festival, which is produced by the Freret Street Market. He has also served as the main MC since at least 2009, a role which he truly cherishes. “The beauty of it is that you have so many different kinds of people showing up to the festival, so many different kinds of vendors,” says Ward, and he is exactly right, considering there are over 200 different food and arts merchants. Ward’s appreciation for service and community building extends into his other job producing festivals — most recently a series of music events in Uganda and Rwanda that brought over 75,000 people together to have fun and provide access to HIV information and testing. The Freret Street Festival is Saturday, April 6th from 11AM to 6PM. More information can be found on their website and Facebook page. You can find more info about the Rotary Club of New Orleans Riverbend here.